Christians attempting to flee ISIS and persecution at the hands of the Taliban in Pakistan are now facing unimaginable circumstances when they do finally make it out of the country: Detainment in overcrowded prisons. Because of hostility and radicalism in many countries in the region, many Christians have fled to Thailand to seek asylum. But the BBC has just released the shocking findings of an undercover investigation into how the government is treating Christians who’ve fled violence. Policy from the United Nations’ refugee agency, the UNHCR, is supposed to prevent asylum seekers from being detained, but, because of a backlog and delays at the UN—who is supposed to investigate each asylum claim—the Thai government is taking matters into their own hands. 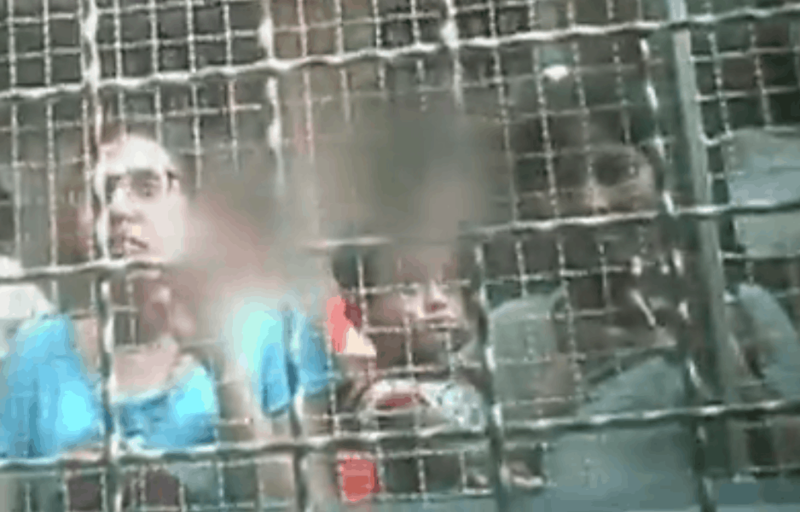 Christian families, including very young children, are being arrested and are being put into either “Bangkok’s filthy and overcrowded immigration detention centre” or into one of the country’s notoriously brutal prisons. Parents told reporters that their children have become sick in the prisons and are not receiving the care they need. Holding children in detention cells with adults is a violation of international law. BBC journalists snuck cameras into one of the facilities (a screen shot is above) to show just how horrific the conditions are. According to the organization Open Doors, Pakistan remains one of the worlds worst persecutors of Christians, but now, even a country that is supposed to keep them safe is taking away their freedom.